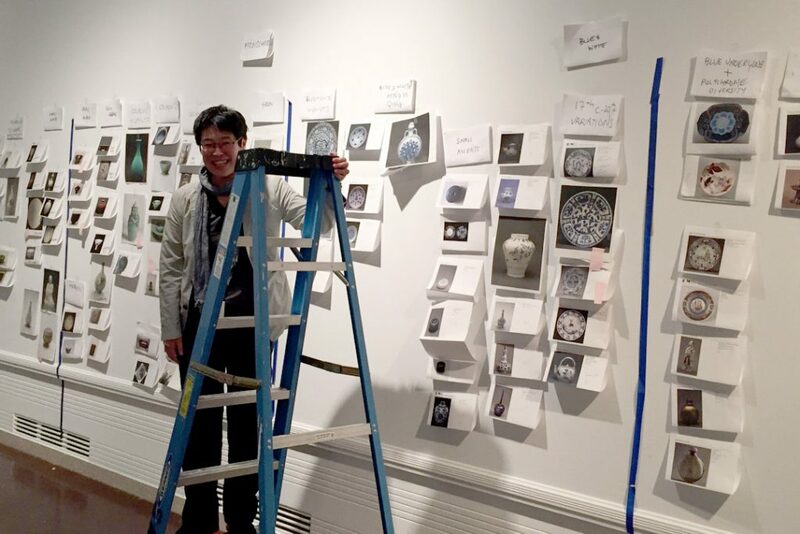 During the few months between the Seattle Asian Art Museum closing its doors and the start of the renovation and expansion, our staff was keeping busy. 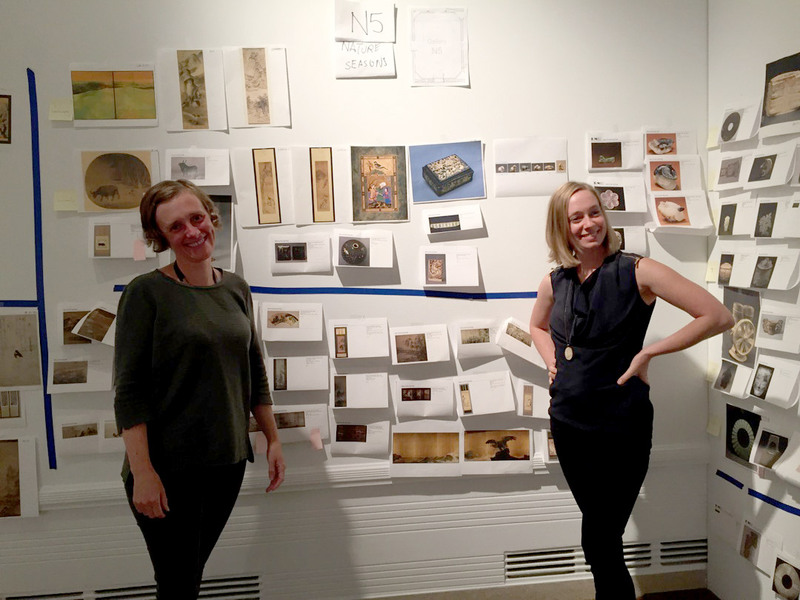 While the entire Asian art collection was relocated to our downtown location to store and protect it during the construction, the curatorial staff began thinking about how to display it when the museum opens again in fall 2019. 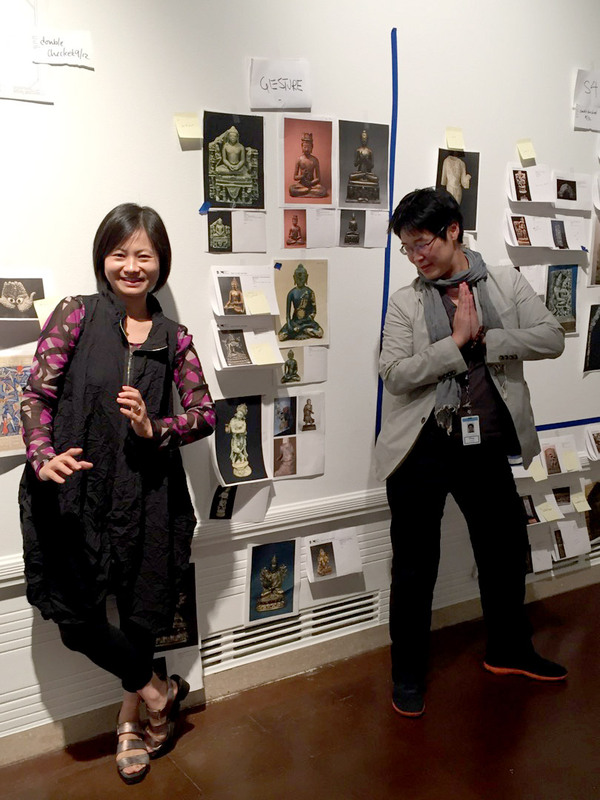 Xiaojin Wu, SAM’s Curator of Japanese and Korean Art, and Ping Foong, Foster Foundation Curator of Chinese Art made use of the empty museum walls to brainstorm how the future of the galleries will be organized. There are 13 galleries in the Asian Art museum to use for the collection works and the items within them will need to rotate regularly since all Asian paintings and textiles are light sensitive and every six months, or so, they need to rest, sometimes for years at a time! 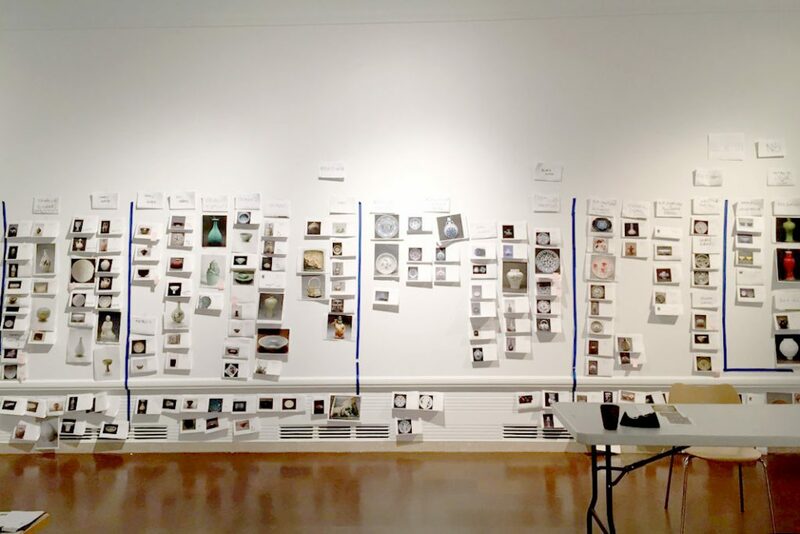 It’s hard to gain a sense of scale from print outs, but planning how the rich and diverse piece of our Asian Art Museum will fit back together again is underway! 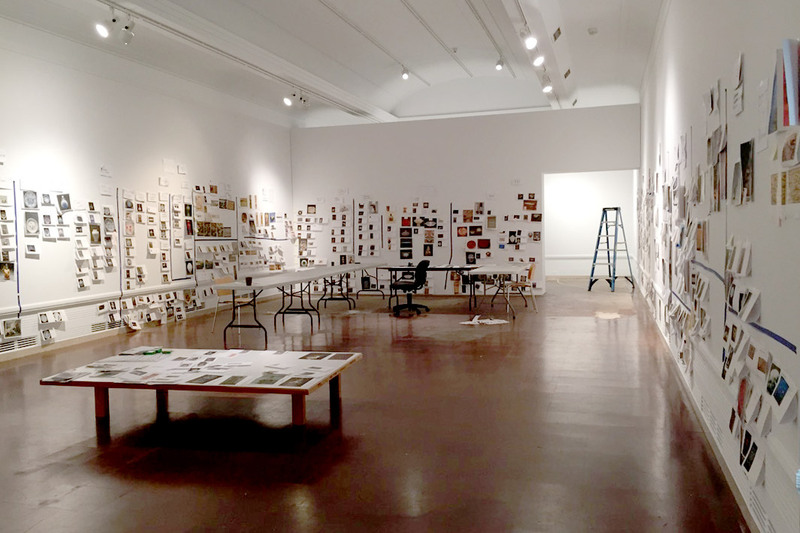 Learn more about the entire renovation and expansion process on our website or, if you’re a SAM member, don’t miss Ping Foong and Xiaojin Wu discussing their plans for the museum in more detail at Conversations with Curators, June 20. From large Buddha sculptures to delicate hair clips, how you would place these priceless objects in the newly upgraded museum when it reopens?